Ground Floor: Large living area where there is a country kitchen, dining room, two open plan living areas and French windows leading out to the garden. Antique wooden furniture, large sofas, terracotta floor tiles and colourful Sicilian wall tiles give it warmth and character. Upstairs there are four double bedrooms, one of which can be a twin bedroom, each with wooden beamed ceilings and sea views. Two bedrooms share a bathroom with a tub and the other two each has their shower room. Outside, a pretty lawned garden with shady trees, deck chairs and sun beds are set up for relaxing in the sun or shade while the wisteria covered dining area is the setting for many delicious Sicilian meals. We had a very relaxing holiday, the accommodation suited our needs... I would certainly recommend your company to friends. The service throughout the booking was excellent... What we enjoyed most? Sunshine and views from the terrace of the villa. All our group agreed that Villa Ciliegio was totally charming. There are a real welcoming atmosphere and a lovely homely feel. One of our best family holidays. 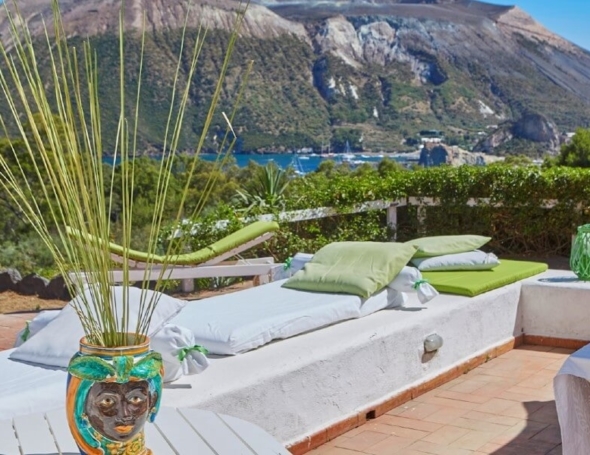 Villa Ciliegio was a perfect getaway with outstanding views. 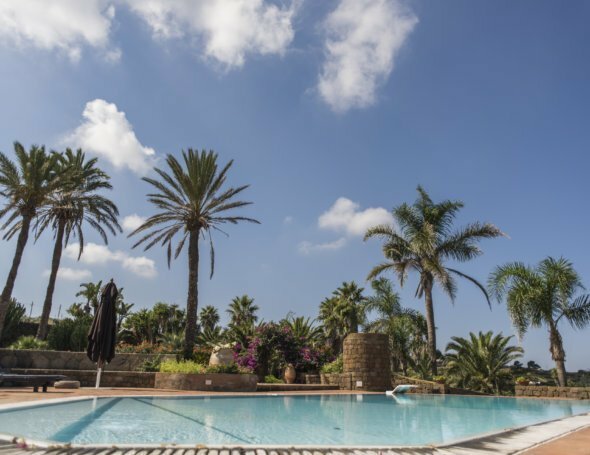 The villa is a beautiful rustic retreat which was well kept and quite magical.